Volume & Nourishment is a Unique Dove Range. Made with Oxyfusion Technology, Oxygen-fused ingredients, its weightless formula restore hair smoothness while adding up to 95% more volume. 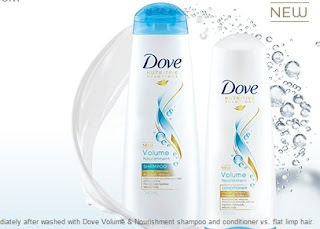 This Shampoo gently cleanses and nourishes every day, breathing life into dry, limp hair.